The Bijbels Museum is situated in two townhouses built in 1662 for the merchant Jacob Cromhout. The architect was Philips Vingboons. Numerous original features of the interior have been preserved, while some elements have been moved there from other locations. These include a monumental ceiling by Jacob de Wit, as a companion to the de Wet ceiling that is original to the house. CODART is the guest of the Bijbels Museum and its director, our member Janrense Boonstra. At the time of the congress an exhibition on Byzantine icons from Greece will be running. There will also be an opportunity to visit two longstanding presentations of considerable interest, reconstructions of the Tabernacle and the Temple Mount, in the form of spectacular models and a display of source materials. Our meeting takes place in a well-appointed modern hall, the Tinbergenzaal. However, for those who have never seen the historic interior, we have arranged for brief, 20-minute tours to take place at several times in the course of the morning. 8:30 Tour of Trippenhuis for group A. 9:00 Greeting by Gary Schwartz, director of CODART, Frans Grijzenhout, acting director of Instituut Collectie Nederland, and introduction by Stephen Hartog, congress chairman. 9:20 Jim Welu, director of the Worcester Art Museum: Collectors and curators: the American way. 9:50 Coffee break, tour of Trippenhuis for group B. 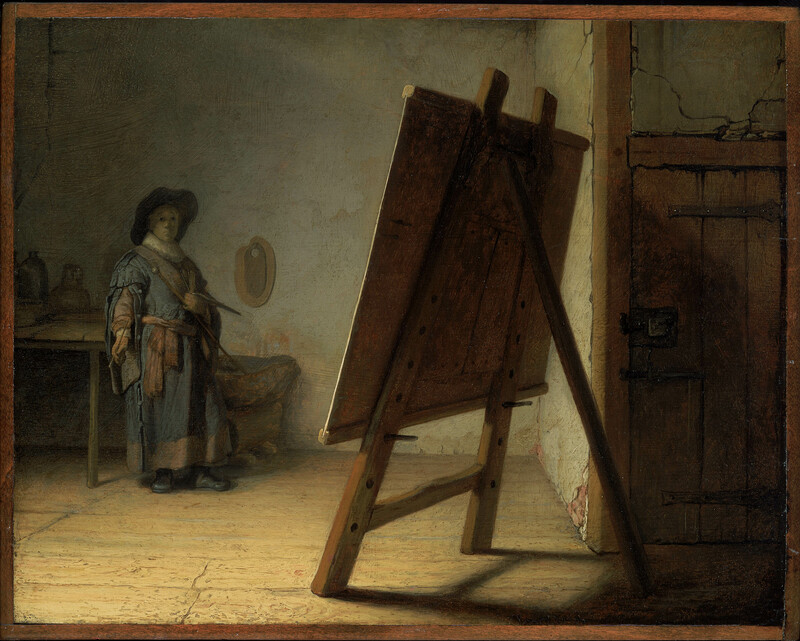 10:20 Ronni Baer, Mrs. Russell W. Baker Senior Curator of Painting in the Art of Europe: Collecting Dutch and Flemish paintings in New England. 10:50 Coffee break, tour of Trippenhuis for group C.
11:20 Bill Robinson, Maida and George Abrams Curator of Drawings at the Fogg Art Museum, Cambridge: Collecting Dutch and Flemish drawings, prints and objets d’art in New England. 12:00 Questions, roundup by congress chairman. 12:15 Embark on lunch canal cruise at pier beside SAS Hotel, Kloveniersburgwal at Rusland. 14:00 Introduction to workshops, in the Voor- en achterzaal. 14:10 Workshop meetings in four groups. Curators and collectors, embroidering on the morning’s talk (Ger Luijten). Art research laboratories in and out of museums (Alberto de Tagle). What to do about the permanent collections? (Axel Rüger) . Critical discussion of exhibition concepts (Ruben Smit). 16:30 Reports by workshop chairmen, discussion. 9:30 Director, review of year. 9:50 Program Committee, future CODART events. Rotation of committee members: Guus van den Hout and Julia Lloyd Williams are leaving the committee. The new members are Axel Rüger and Manfred Sellink. Tatjana Bosnjak, National Museum, Belgrade: The Dutch and Flemish collections in Belgrade and the new plans for cataloguing and displaying them. Bernd Lindemann, Kunstmuseum Basel: Proposal for a database of unused frames available for loan to other collections. Kadi Polli and Greta Koppel, Art Museums of Estonia: A comprehensive project for the Dutch and Flemish art in Estonia. Manfred Sellink, Stedelijke Musea Brugge: Stradanus, a Bruges artist in Florence. David de Witt, Agnes Etherington Art Centre: Tobit in art, an epic of faith. 11:20 Huigen Leeflang, Introduction to the Goltzius exhibition in the Rijksmuseum, which opens on 7 March. 11:50 Closing of the morning session. 12:15 Lunch in the printroom of the Van Gogh Museum. Enter through the main entrance on the Paulus Potterstraat wearing your CODART badge. You will be given priority at the cloakroam. Inside the museum, take the escalator down to the ground floor of the new wing, turn right past the entrance to the exhibition, go through the glass doors and take one of the two elevators to the top floor. 13:00 Greeting by John Leighton, visit to exhibition Vincent’s choice. Entrance to the museum is free with CODART ZES badge. 14:00 In the auditorium of the Rijksmuseum, the David Röellzaal, greeting and presentation on the new Rijksmuseum by Ronald de Leeuw, director. Around Jordaens: 17th-century Flemish masters. This exhibition was scheduled to close on 15 March, but is being extended until the 18th specifically to allow congress participants to see it. Accompanying Rijksmuseum curator: Jan Piet Filedt Kok. Hendrick Goltzius: drawings, prints and paintings. Accompanying Rijksmuseum curators: Ger Luijten and Huigen Leeflang. Muscular bronze: sculptures by Willem van Tetrode (ca. 1525-1580). Accompanying Rijksmuseum curator: Frits Scholten. the study collection, reopened in November 2002. Accompanying Rijksmuseum curator: Taco Dibbits. the full permanent display before it closes for at least 5 years. 17:00-19:00 Closing reception in Café Cuypers, right of the West Entrance of the Rijksmuseum, offered by the Rijksmuseum.